As we age the skin on our face begins to lose its firmness and starts to sag. This includes the skin around the eyes. You may notice dark circles or puffiness in the bags under your eyes as well as drooping eyelids as you get older. This can give the appearance of tiredness or old age. A blepharoplasty, otherwise known as an eye lift, eyelid lift procedure, or eyelid lift can serve to restore a youthful appearance back to the eyes and surrounding skin. It can make you look refreshed and less tired. 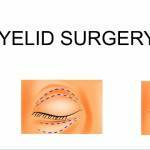 The eyelid lift procedure will typically be performed as an outpatient procedure. The operation itself generally last from 45 minutes up to two hours. You’ll want to take care in finding a board-certified plastic surgeon with plenty of experience with eyelid lift procedures. You want someone that has a good reputation and makes you feel comfortable to perform the delicate surgery. You want someone that you can trust to listen to your goals and answer any questions you may have regarding the procedure and aftercare. During the procedure an anesthesia will be administered for your comfort. Often, you’ll have the choice between a general anesthesia and intravenous sedation. Discuss your options with your surgeon. 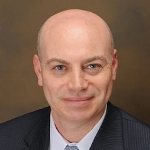 They will consider your medical history, type of operation, and individual case to recommend the best option for you. Once the anesthesia has been administered then careful incision lines will be made. The incisions will be strategically placed within the contours and natural structure of your eyelid area to help conceal the resulting surgical scars. 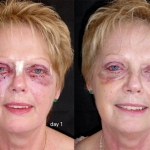 Often, patients are unable to see the incision marks after an appropriate amount of healing time has elapsed. 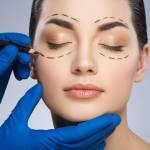 If the area of the lower eyelid is being worked on then the incision will be made below the lower lash line. This will allow the surgeon to carefully remove excess skin in the lower eyelid. Excess fat deposits may be removed or sculpted at this time. Muscles may also be tightened. If the surgeon will be making corrections to the upper eyelid then an incision will be made along the natural crease of the eyelid. Just as with the lower eyelid region, the surgeon will sculpt or remove the fat underneath the skin or tighten the muscles. Extra skin may be removed as well. An incision on the inside of the lower eyelid is an alternative method for an eyelid lift procedure that repositions or removes excess fat within the lower eyelid region, but does not remove any skin. When the surgeon has completed the procedure, then the incisions are closed with either skin glue, skin adhesives, or sutures. A chemical peel or laser may be used at this time to correct discolorations of the lower eyelid. Bruising and swelling are typical during the first week or two following surgery. Other symptoms such as dry eyes, tightness, and tiredness may also occur. Many patients are able to return to work within two weeks of the procedure.